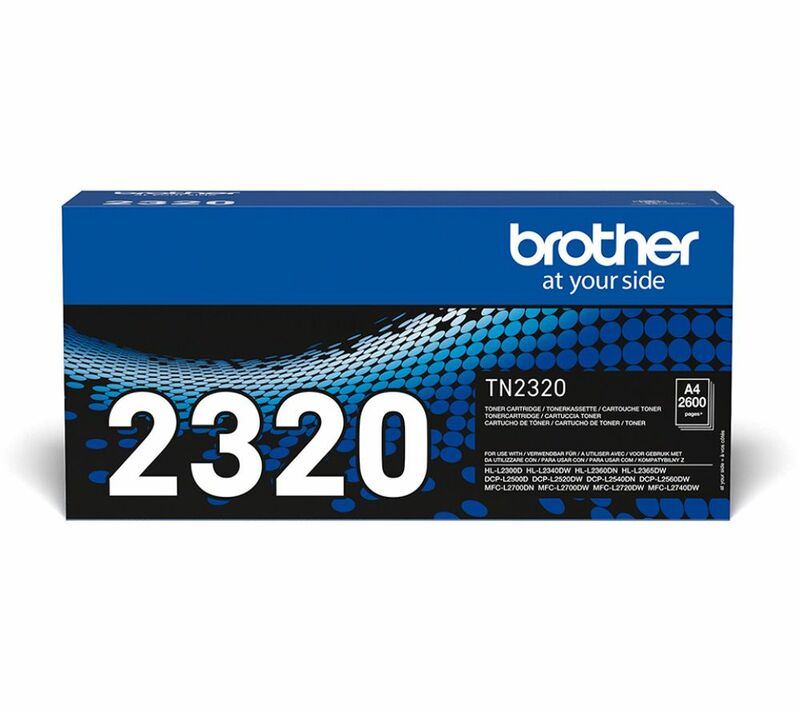 Bring out the best in your printing with the Brother TN2320 Black Toner Cartridge. The TN-2320 is compatible with the Brother HLL2300D, L2340DW, L2360DN, L2365DW, DCPL2500D, L2520DW, L2540DN, L2560DW, MFCL2700DW, L2720DW and L2740DW printers. With an estimated 2600 page yield you'll always have enough ink for all your documents and creations. Keep your print outs bold with the Brother TN2320 Black Toner Cartridge. OEM product, you know what you're getting and it was good to go the moment I installed it into my printer.